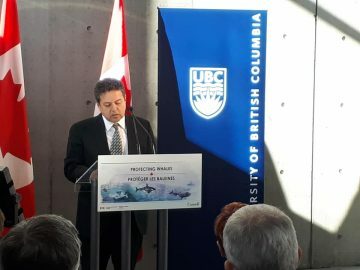 On March 8, 2019, the Government of Canada announced a collaboration with three Canadian universities to better understand the pressures facing endangered whales and to protect them from further harm. 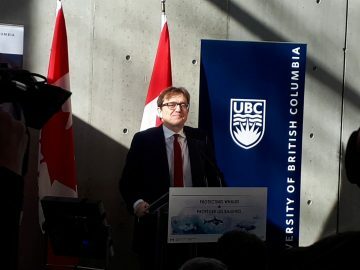 The Minister of Fisheries, Oceans and the Canadian Coast Guard, the Honourable Jonathan Wilkinson, announced that the University of British Columbia, Dalhousie University and the Université du Québec à Montréal will receive a total of $2.9 million in funding, under the Whale Science for Tomorrow initiative, for scientific research on the Southern Resident Killer Whale, North Atlantic Right Whale and St. Lawrence Estuary Beluga. “The Government of Canada is committed to the protection and recovery of the Southern Resident Killer Whale, the North Atlantic Right Whale and the St. Lawrence Estuary Beluga. Our investment today in science and research will contribute to the increased protection of these extraordinary creatures. I believe that by working together, we will advance our knowledge and find more solutions to the challenges facing these whales,” said The Honourable Jonathan Wilkinson, Minister of Fisheries, Oceans and the Canadian Coast Guard. This joint initiative between Fisheries and Oceans Canada and the Natural Sciences and Engineering Research Council of Canada, will strengthen the ability of Canadian universities to support the Government of Canada’s whale conservation objectives, while preparing the next generation of scientists to ensure the long-term conservation and recovery of these endangered whales. The investment will enable Canadian whale experts to advance our knowledge of the threats that face these magnificent marine mammals. Our improved understanding will provide decision-makers and policy advisors with the information they need to develop innovative solutions to support enhanced recovery efforts. This investment will support approximately 24 jobs in the next two to four years. Researchers at the University of British Columbia, lead by Dr. Andrew Trites, will receive $1 million over five years. 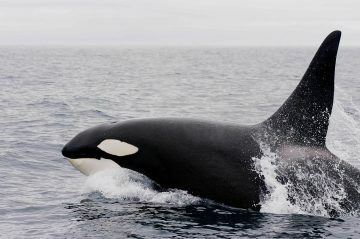 Their study will employ a variety of methods, including tracking and monitoring, to determine if Southern Resident Killer Whales are able to forage for enough of their preferred prey, Chinook Salmon, to meet their daily nutritional needs. Five jobs will be supported by this investment. Find other stories about: whales, cetaceans, Andrew Trites, Marine Mammal Research Unit, British Columbia, Canada, salmon, marine mammals, marine ecosystems.